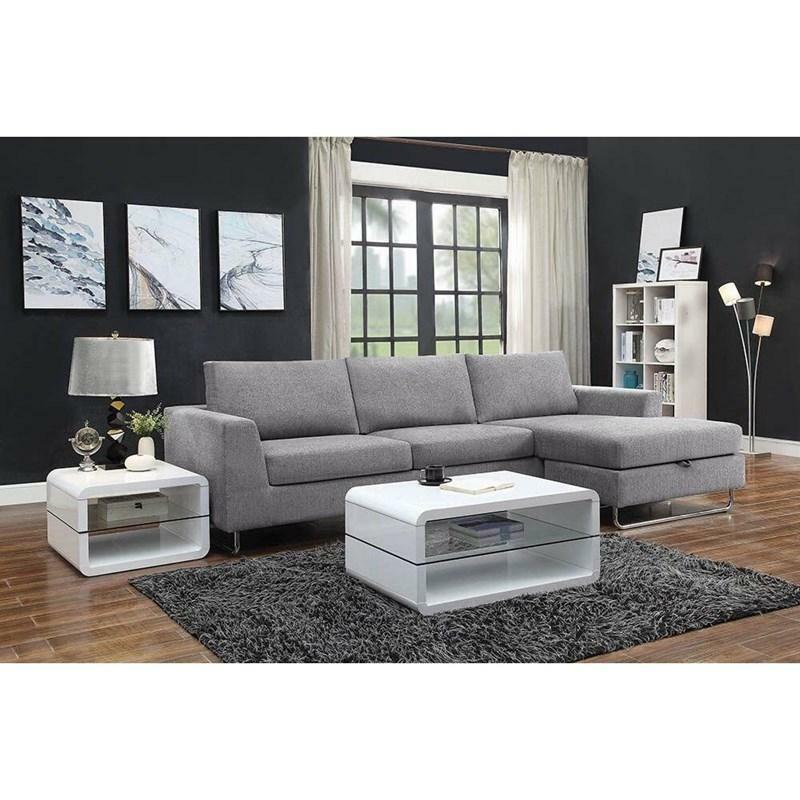 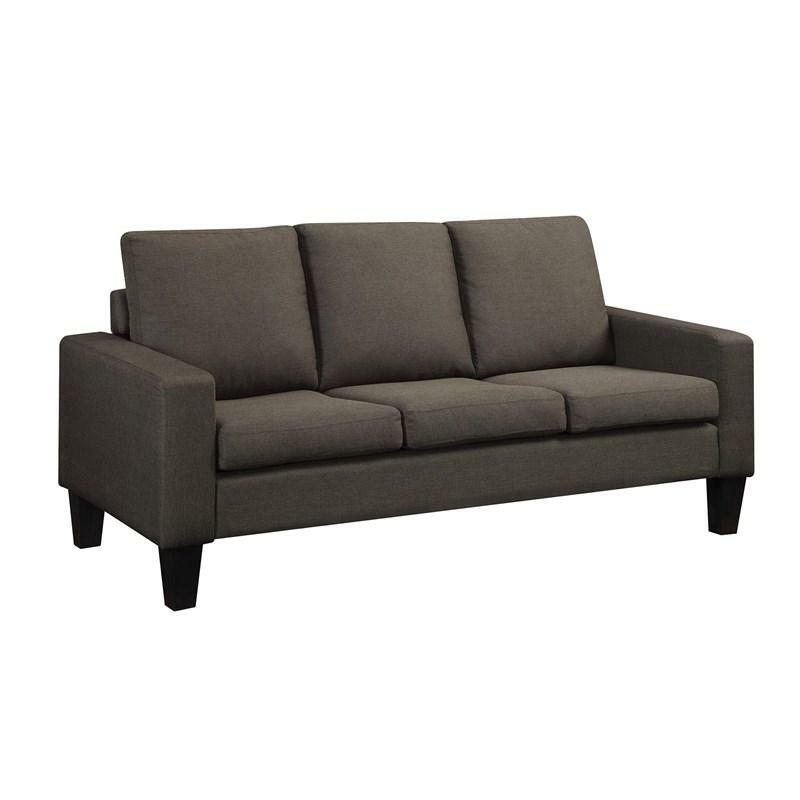 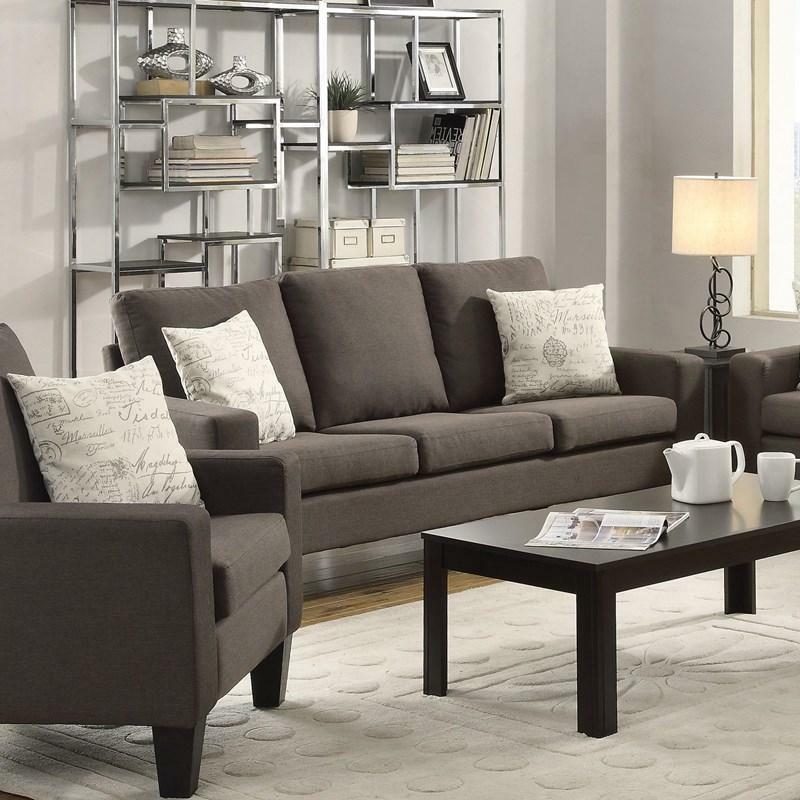 Modern and yet casual in design, this Coaster Furniture sofa features removable back and seat cushions all wrapped in easy care grey linen-like upholstery over a metal frame. 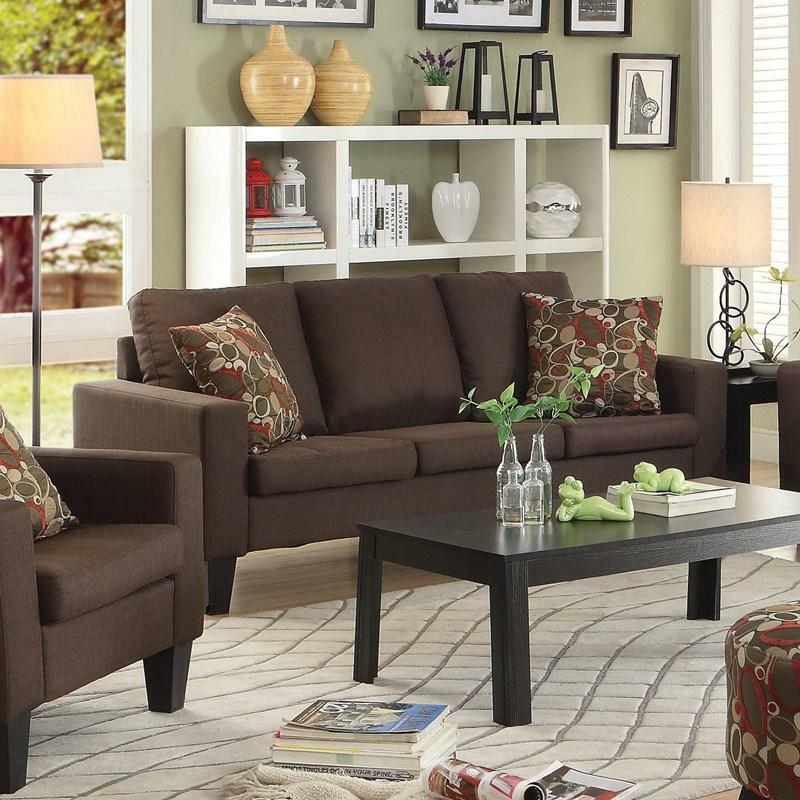 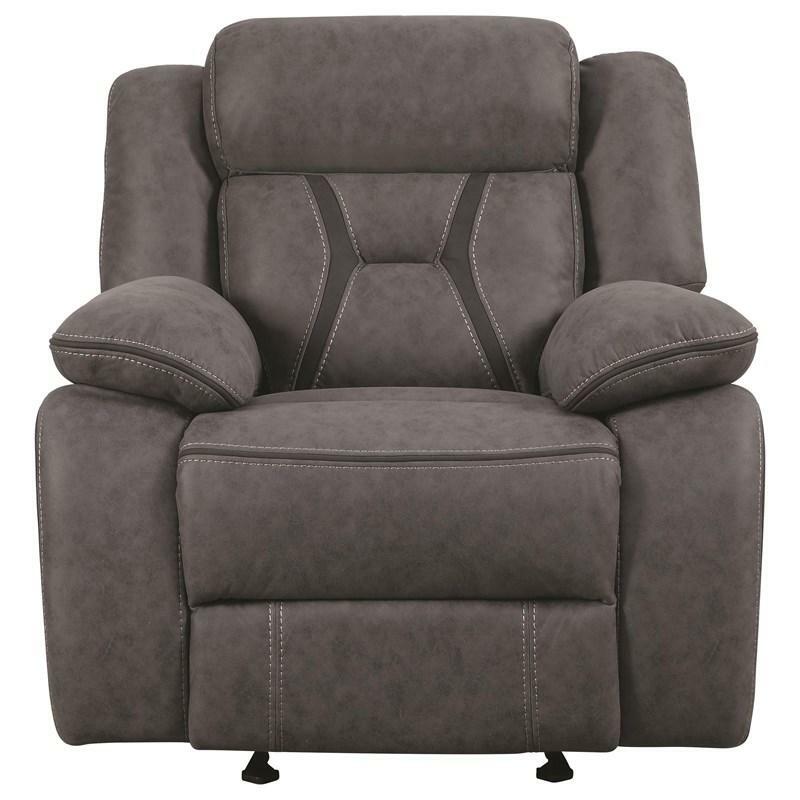 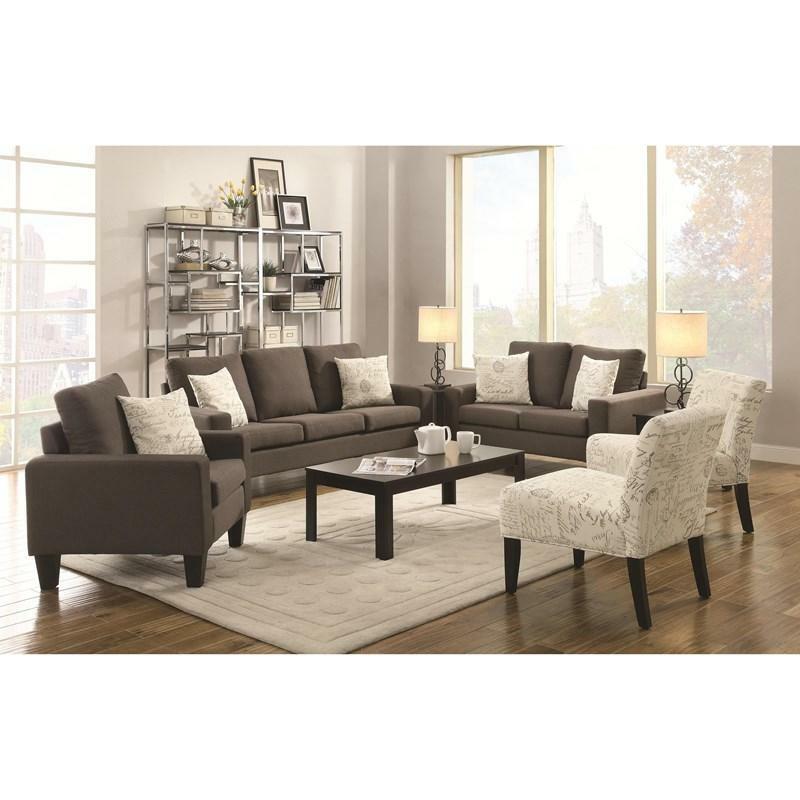 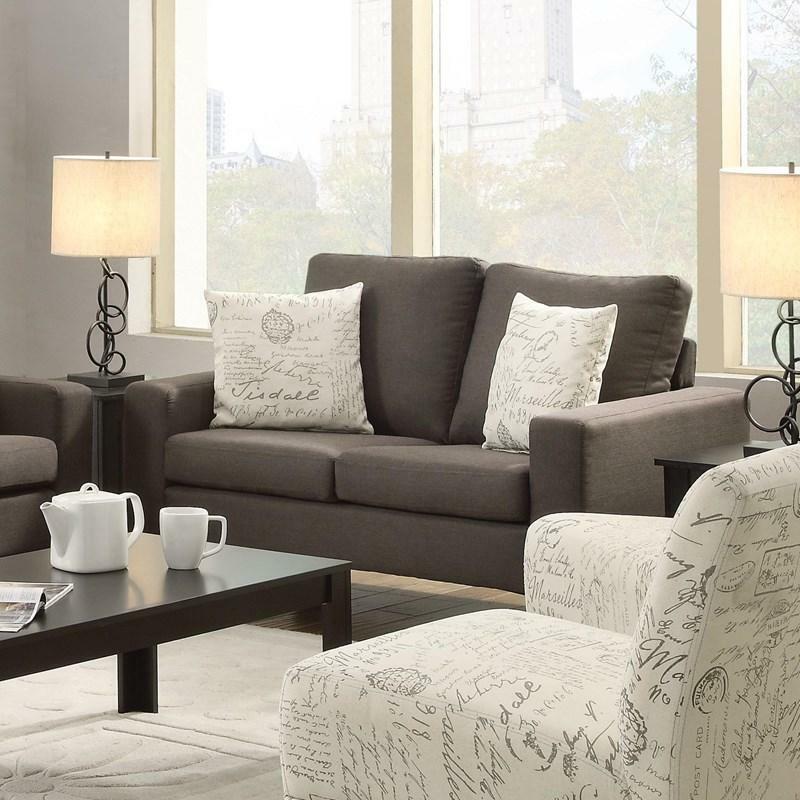 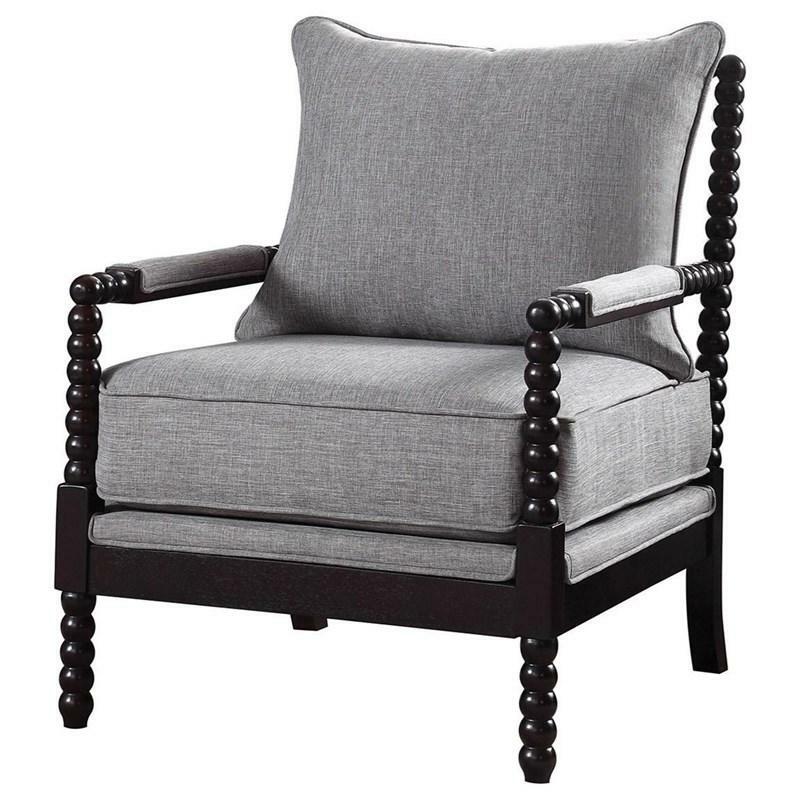 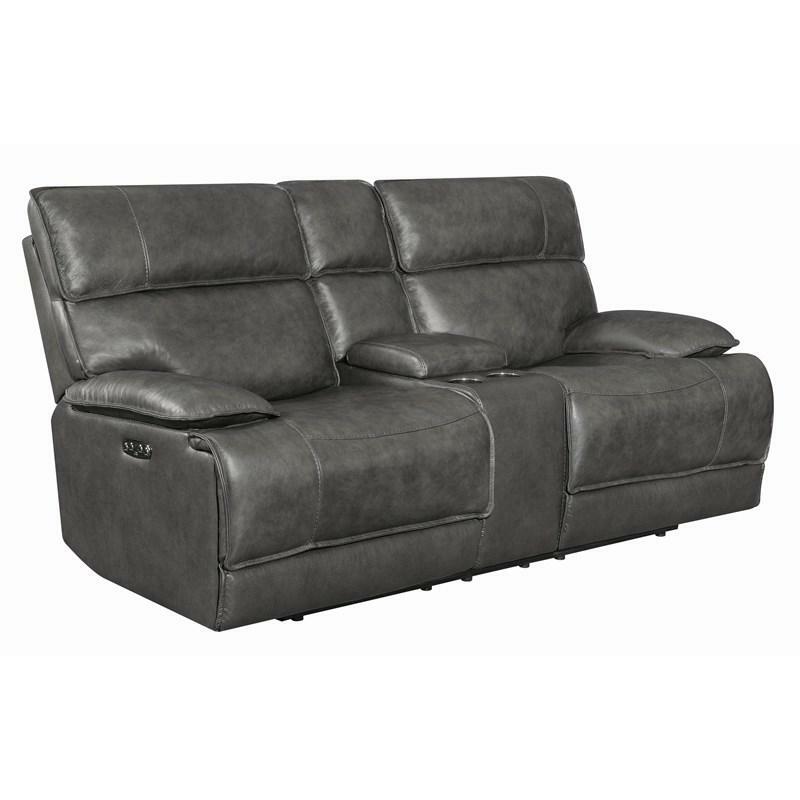 For a complete living room set, match with other Bachman Collection pieces. 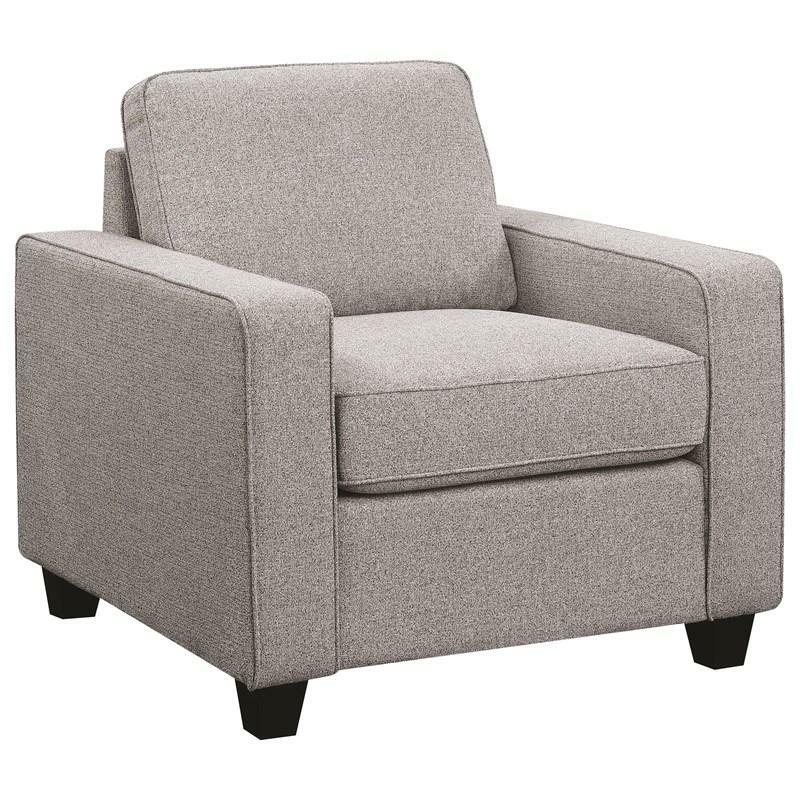 Volume 21.99 cu. 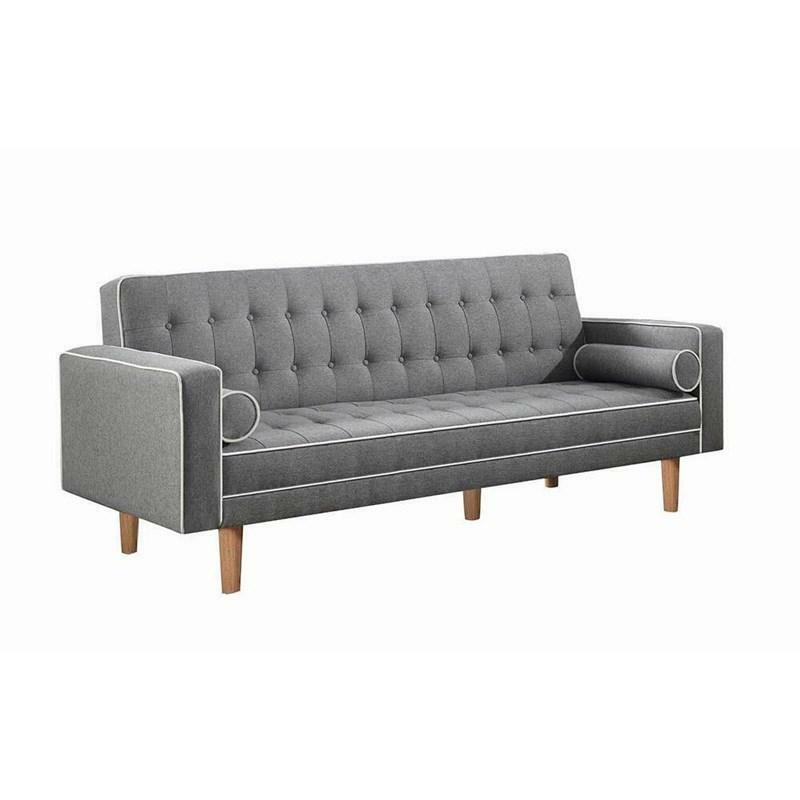 ft. / 0.62 cu. 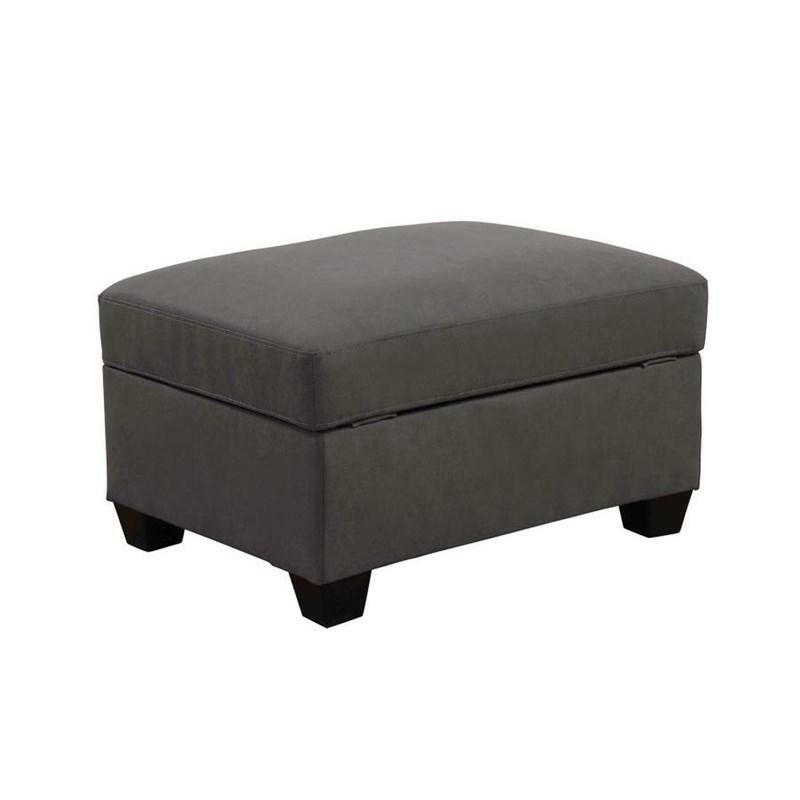 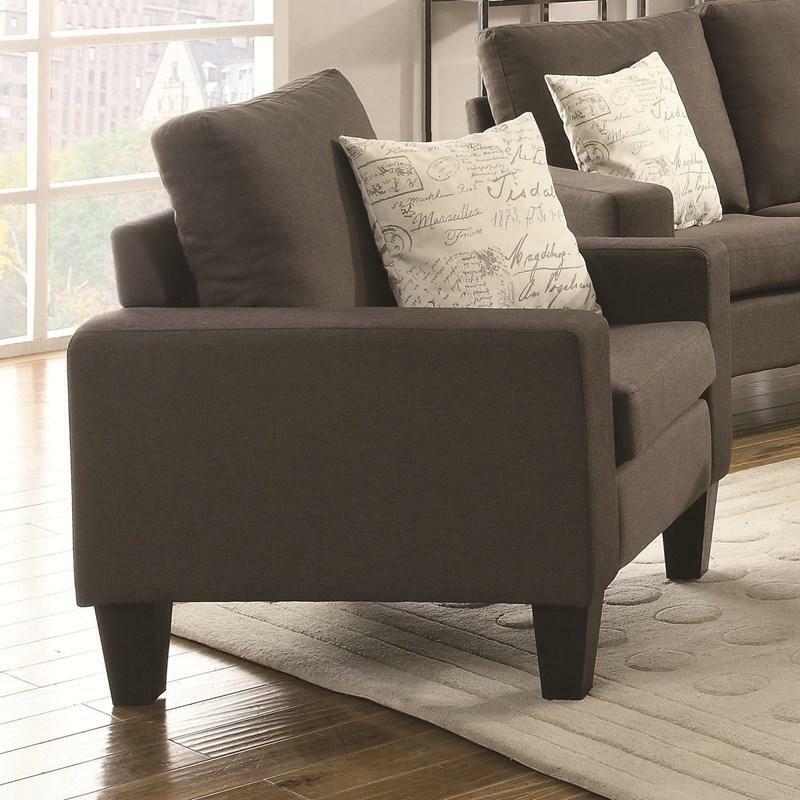 m.
The Powell Ottoman offers storage under the seat cushion, wooden tapered legs and is upholstered in a taupe fabric.